Matthew McConaughey has told how the Interstellar cast and crew battled extreme weather conditions shooting in Iceland. The sci-fi epic moved to the country to shoot scenes of the film's ice and water planets. But in the midst of filming on a glacier, production had to batten down in their hotel when a powerful storm blew through the region, with wind so intense it ripped the asphalt from the streets. "It was a hairy day," admitted the star, who has the lead role of farmer-turned-space traveller Cooper. "The wind got up to 50mph and the helicopters had to be grounded, but Iceland was epically beautiful." The Dallas Buyers Club actor also had to get to grips with crampons, a traction device that's supposed to ease walking on snow. "Those were a trick and I fell a couple of times," he confessed. Set in the near future, Christopher Nolan's film depicts a time when an agricultural crisis has brought the world to its knees and a team of explorers are tasked with a mission to journey into the universe to find a new home for humankind. Matthew, 45, described his character as "a dreamer and a man out of time". "He's not supposed to be a farmer but in Interstellar, the world needs farmers, not pilots," he explained. "Life has become about growing food and having clean water. We don't need any explorers, we don't need any astronauts, we don't need any bright ideas. Cooper's trying his best to live in this world, and hold things together for his children." The actor heaped praise on director Nolan, saying one of the best things about him is "the heartbeat of humanity he gives his films". He added: "He has an original take on everything and works by his instincts completely. I believe he's constantly letting his reach exceed his grasp. And when you see this film, you'll know it's true, because it's by far the most ambitious film he's ever directed." 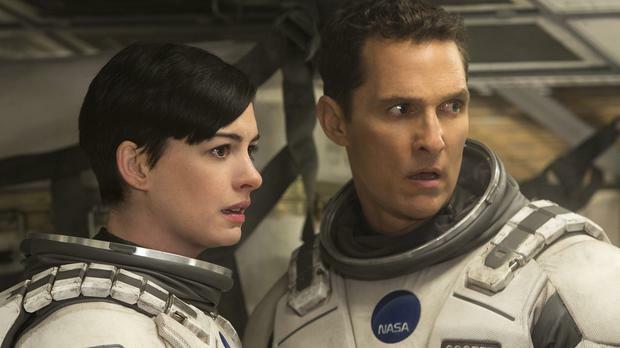 :: Interstellar, which also stars Anne Hathaway and Jessica Chastain, is released on Friday, November 7.